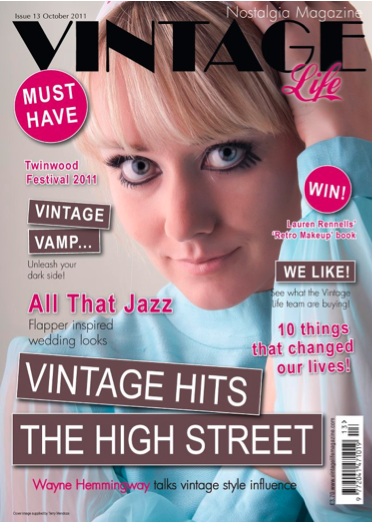 I am SO excited to announce that I was chosen as the COVER GIRL for the October issue of Vintage Life Magazine - the incredible nostalgia magazine that is taking the UK by storm and is also available internationally online. Check it out at www.vintagelifemagazine.com or in WH Smiths. Photo by the ever amazing photographer legend Terry Mendoza at www.retrophotostudio.co.uk. I would also like to say thank you to all of my friends and family who have supported me on this crazy little dream to pursue modeling. And another HUGE thank you to all the incredibly talented creatives I have had the pleasure of working with since I started! Without you all I would never have had the confidence to do this.